The Delhi Greens Blog has remained the flagship project of the Delhi Greens organisation and continues to play a key role in disseminating green news and information and spreading environmental awareness among the masses. Filed under the Green Media Network initiative of the organisation, this Blog has been a ‘green changemaker ‘ as well as a learning experience for all of us. 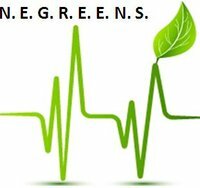 And now, in keeping with our mandate to raise environmental awareness and promote sustainable development across India, Delhi Greens is proud and excited to launch NE Greens, as the second project under the Green Media Network. We are proud also because NE Greens is Northeast India’s very first portal on Ecology & Environment! NE (Northeast) Greens Blog is launched as a platform to promote sustainable development of India’s Northeast, highlight and discuss the environmental challenges being faced by the eight states and make a region wide attempt to protect the cultural and biodiversity of Northeast India. The Northeast region of India comprising the states of Arunachal Pradesh, Assam, Meghalaya, Manipur, Mizoram, Nagaland, Tripura and Sikkim is known to many as the ‘unsung song of Indian history’. Tucked away in the ‘remote’ Northeast and joined with “mainland” India only by a 21 km long ‘chicken neck’ corridor, the region is blended with diverse geographical and multicultural features, and is a beautiful mosaic of Mother Nature. This richly vibrant Northeast region is blessed with cultural as well as biodiversity and is the abode of approximately 225 tribes in India, out of a total of 450 in the country. When it comes to the natural resource wealth of our country it is usually seen that the most resource rich states are economically the poorest. This is also true for the NE which is a region of low per-capita income with major growth requirements. Challenges like ethnic diversity and the insurgency problem have kept many away from NE and the larger benefits of India’s rapidly developing economy have so far not been able to reach here. Even the youth have gradually moved out in search of better opportunities. The NE Greens Blog will therefore work to capture and disseminate not just green news, information and activities but also the hopes and aspirations of an entire generation, towards the development and upliftment of a place 3.8% of India (according to Census of India, 2001) calls home. Delhi Greens invites all those who are interested to assist in any way, to write to us for more details. PrevNational Afforestation & Eco-Development Board Launches Brand New Website!